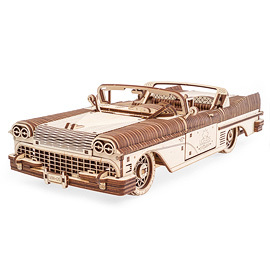 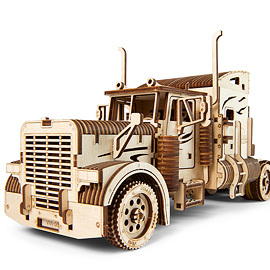 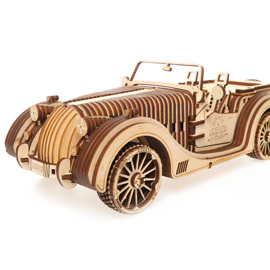 One full winding will give your V-Express energy enough to cover a distance of up to four meters (13 feet). 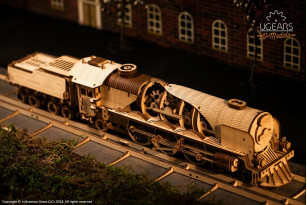 You can change the direction of movement by switching a small lever on the side of the models’ body. 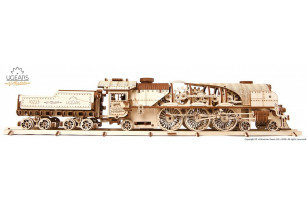 The locomotive has three settings: forward, back and idle. 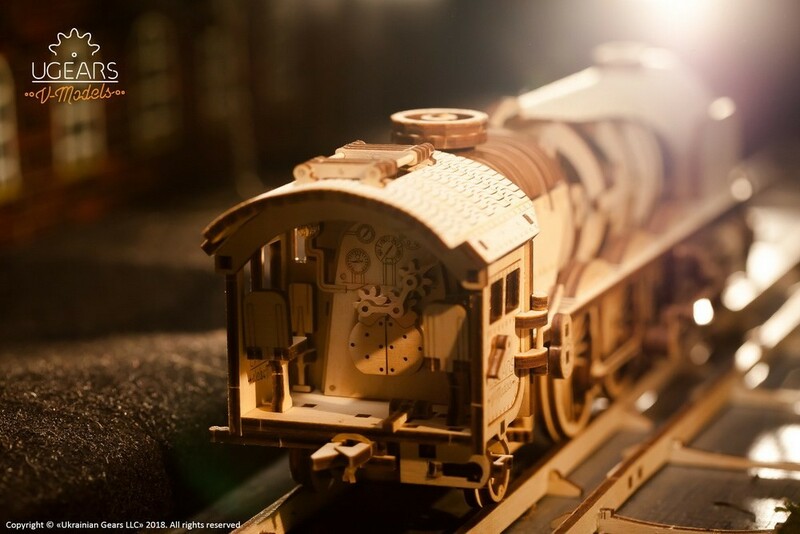 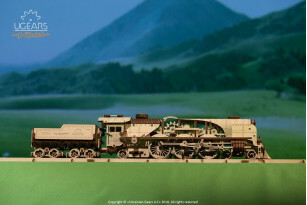 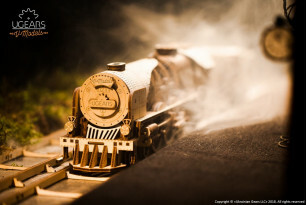 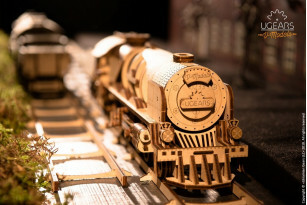 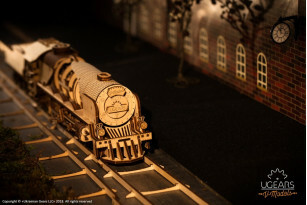 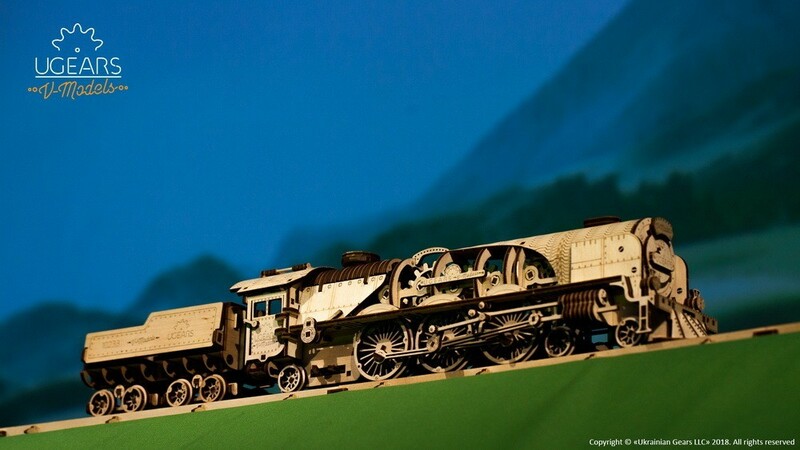 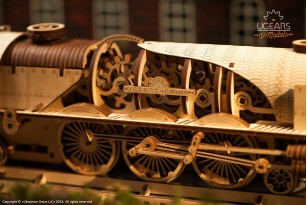 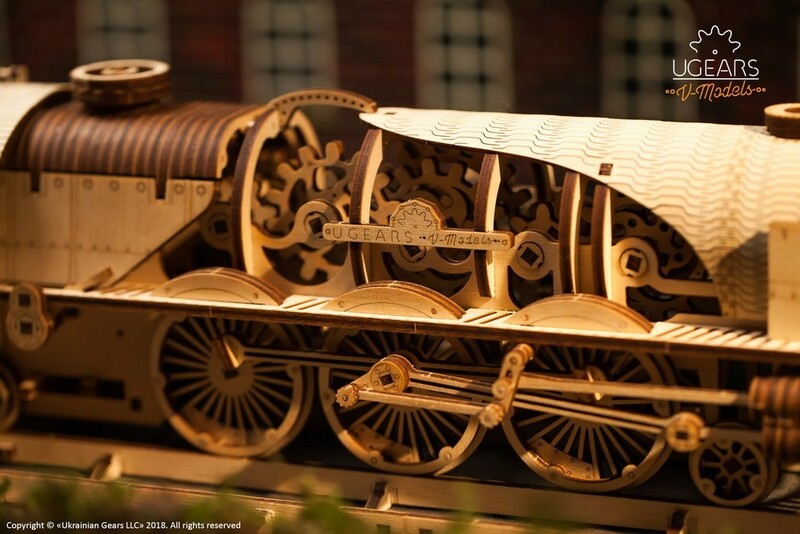 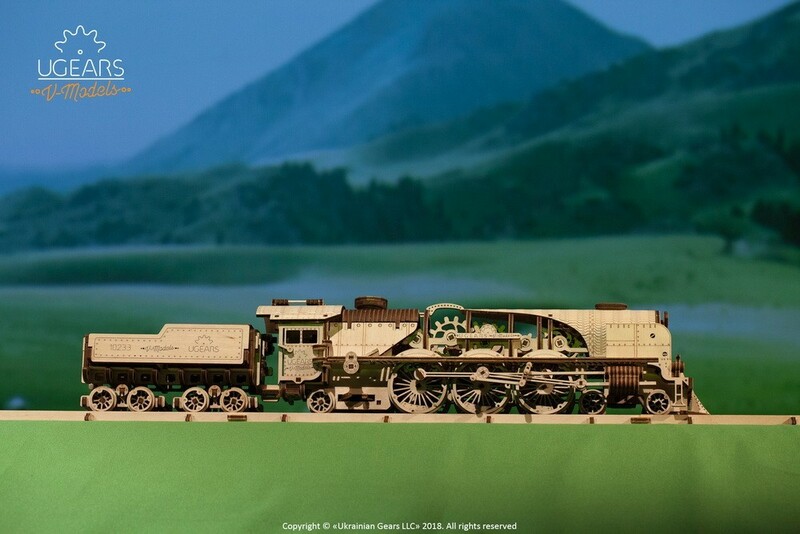 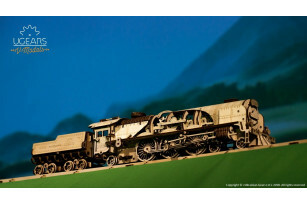 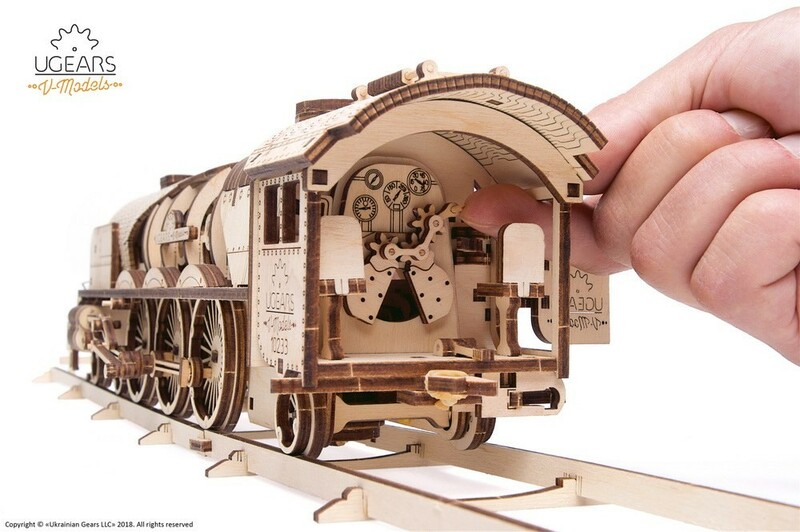 When the mechanism of the model is working in idle, you can safely observe the work of the moving elements without having to worry that your train will race off into the blue. 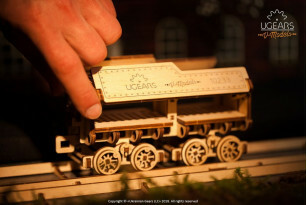 If you want to test another exciting option of your new model – switch it into the “Back” setting. The V-Express will roll back and automatically hook up with its tender. 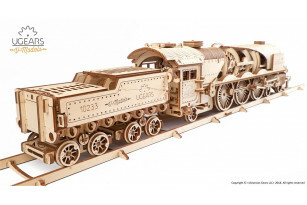 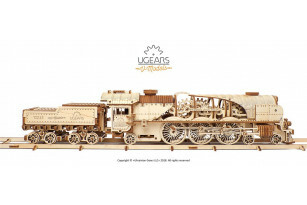 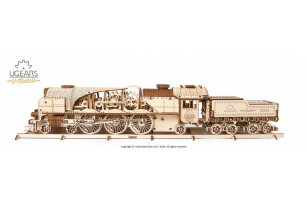 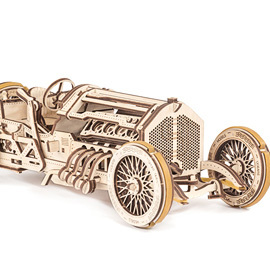 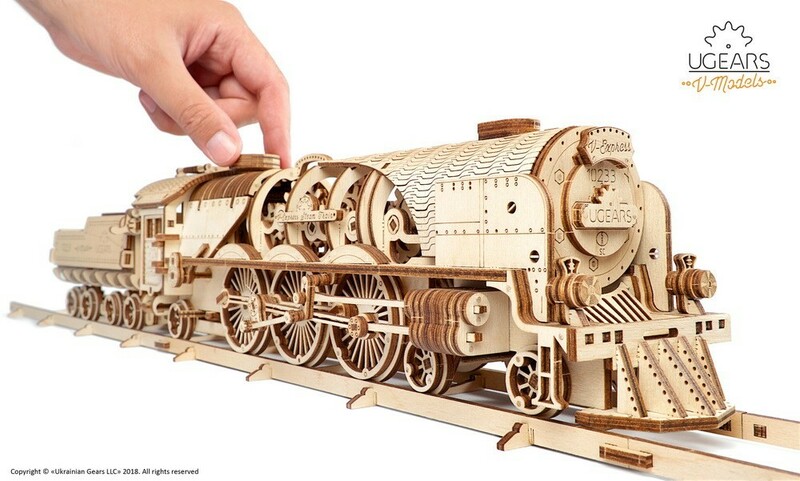 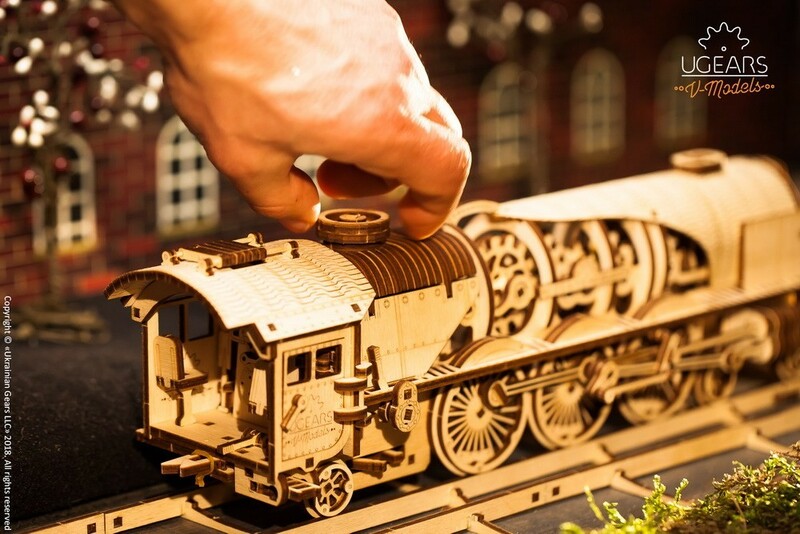 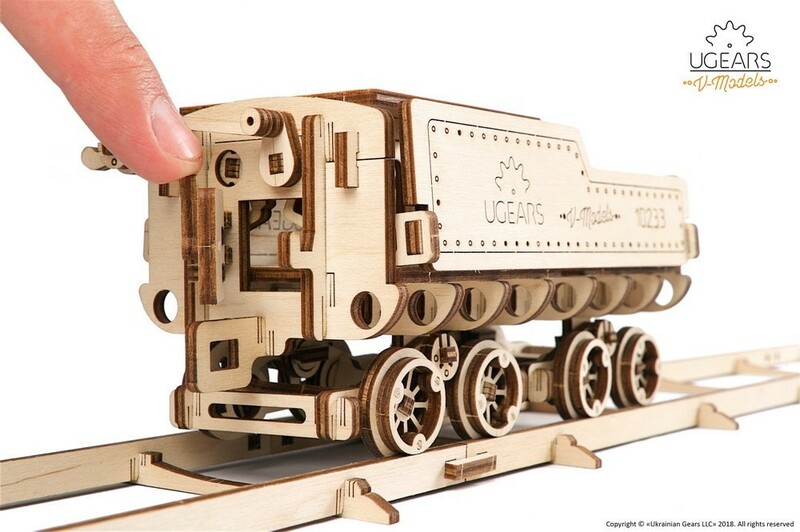 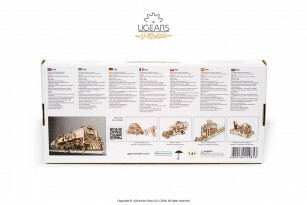 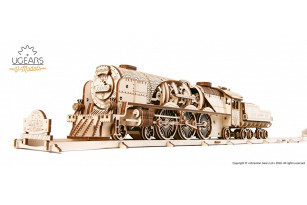 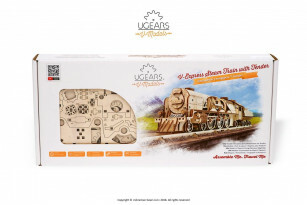 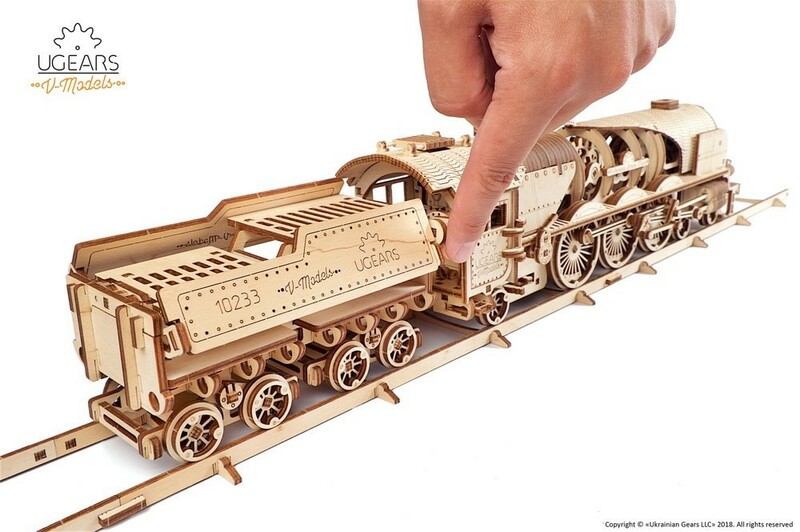 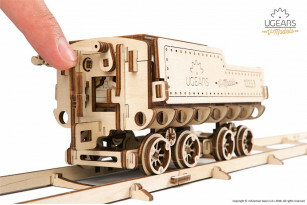 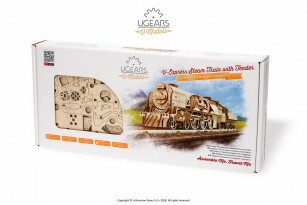 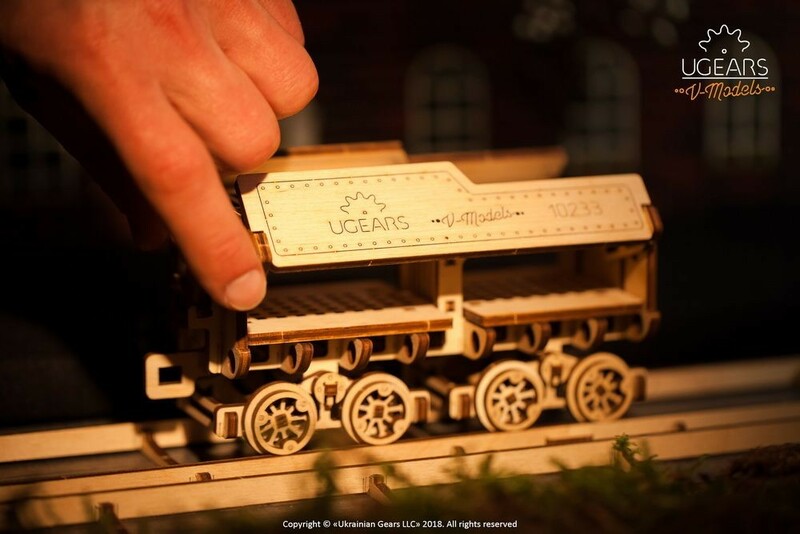 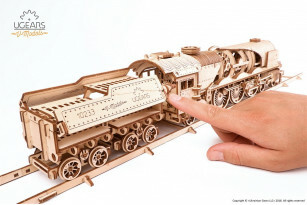 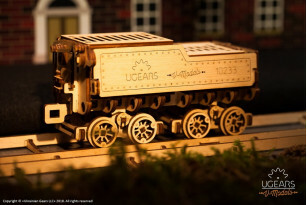 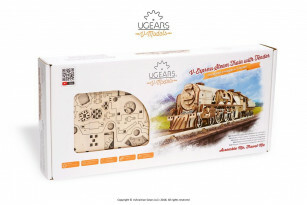 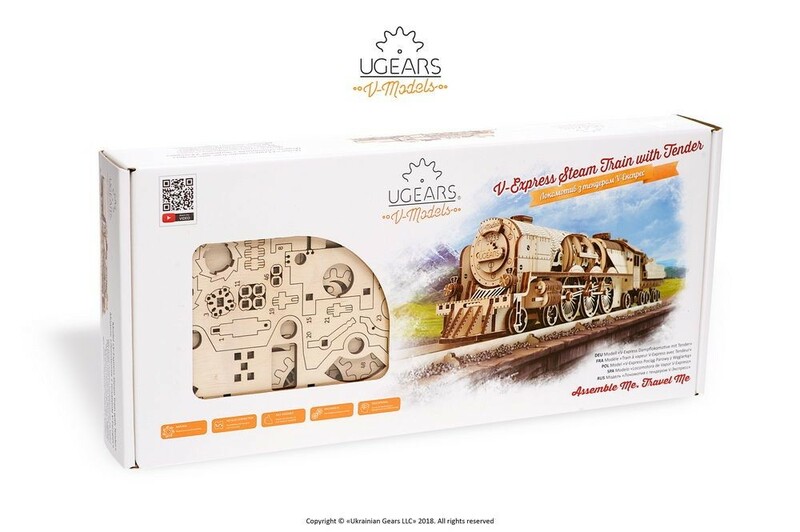 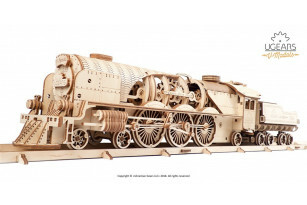 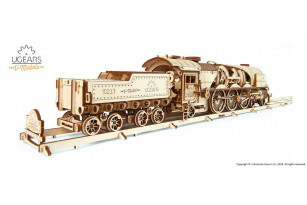 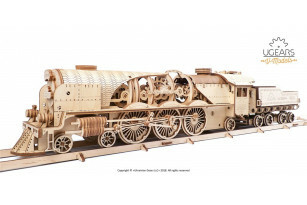 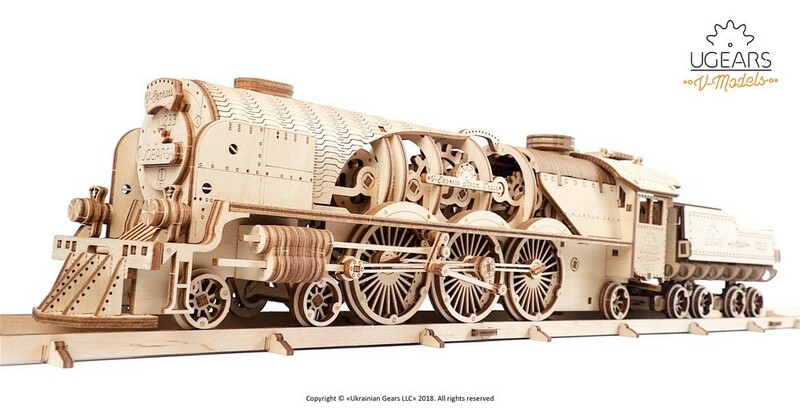 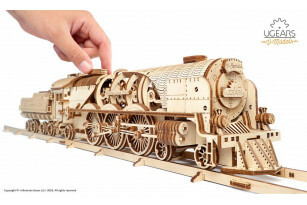 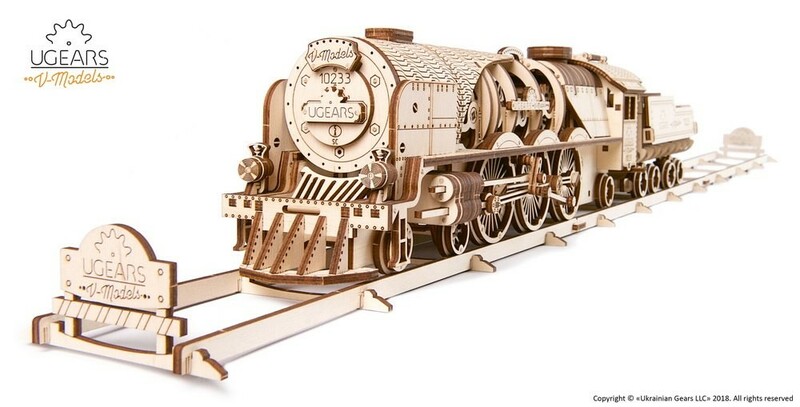 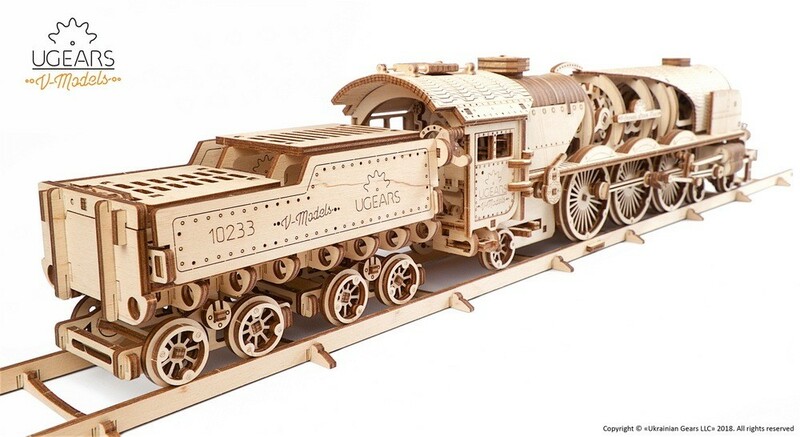 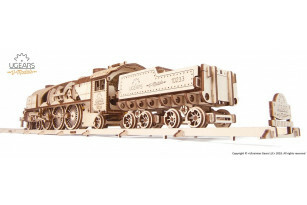 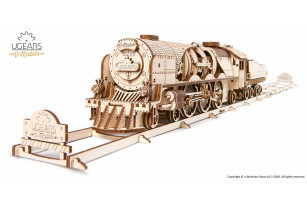 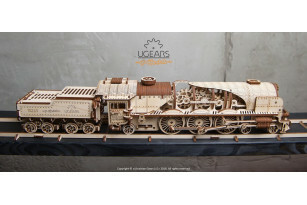 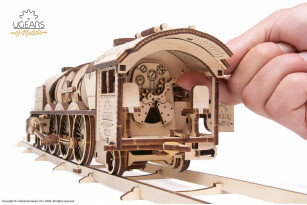 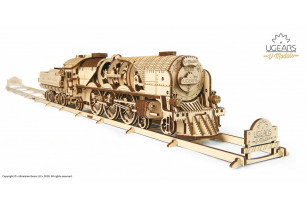 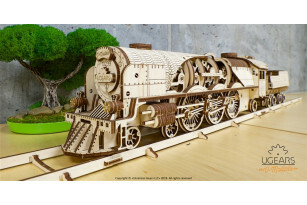 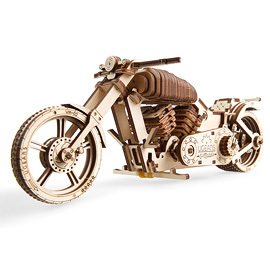 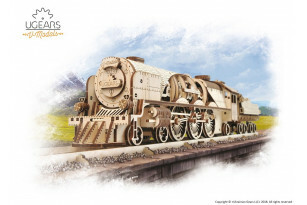 Assembling the Ugears’ locomotive you will feel like an inventor engineer discovering for the first time the magic of the complex mechanism taking shape in your hands. A train is always a journey. 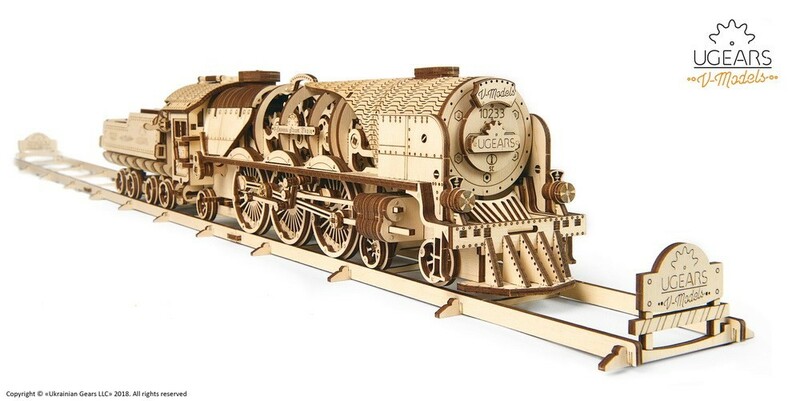 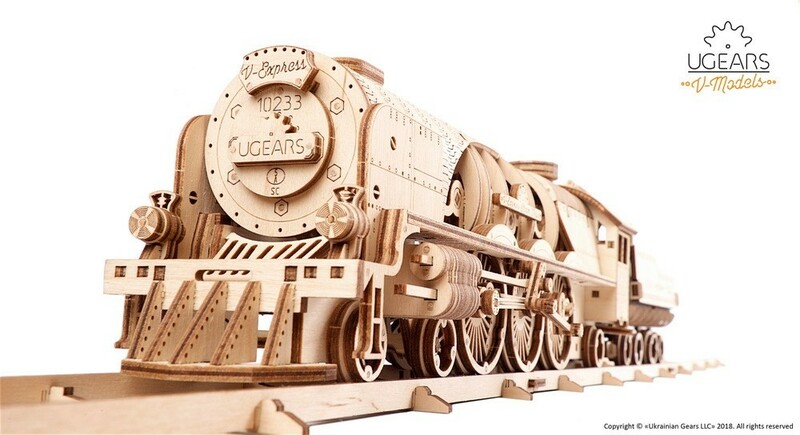 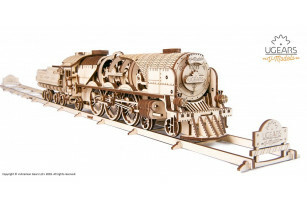 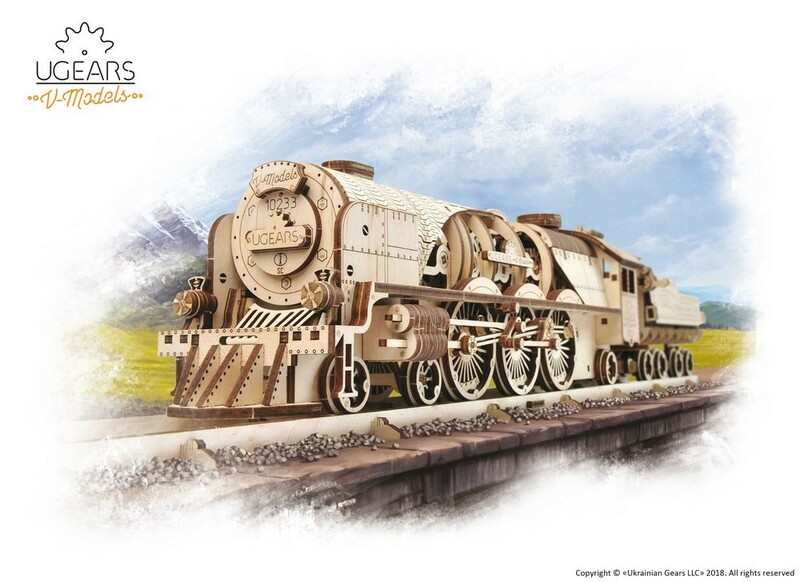 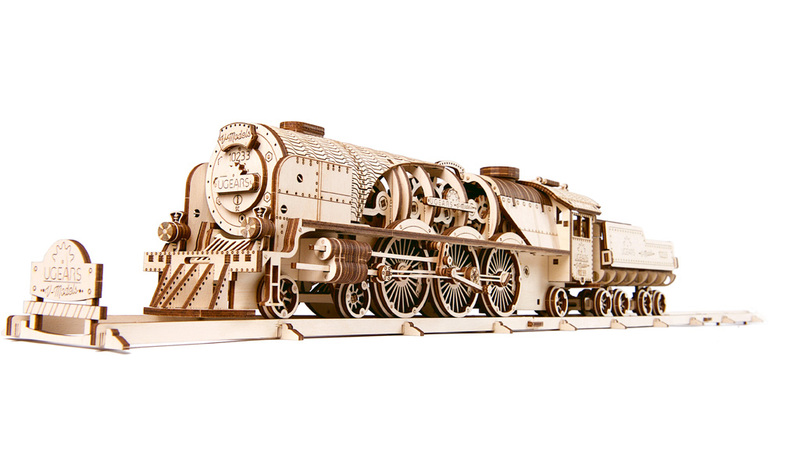 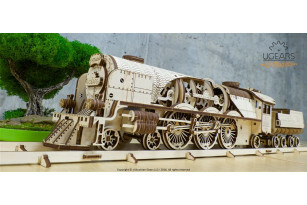 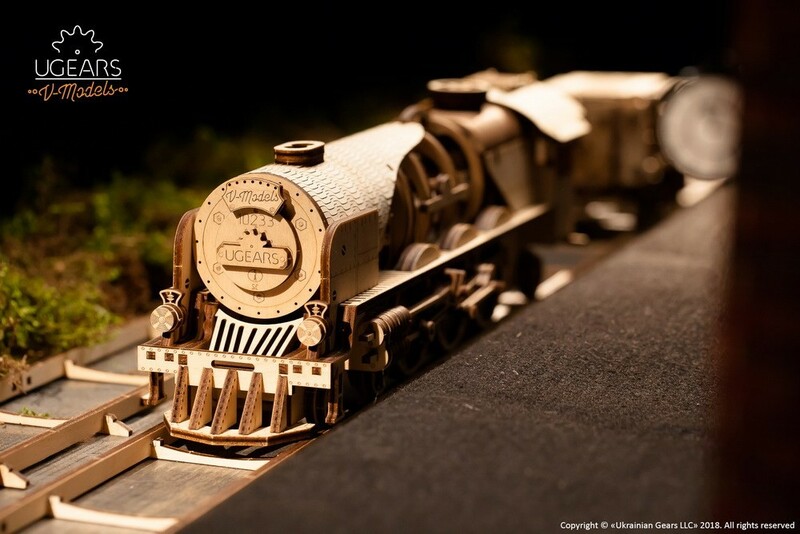 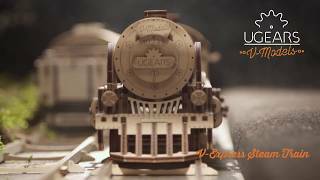 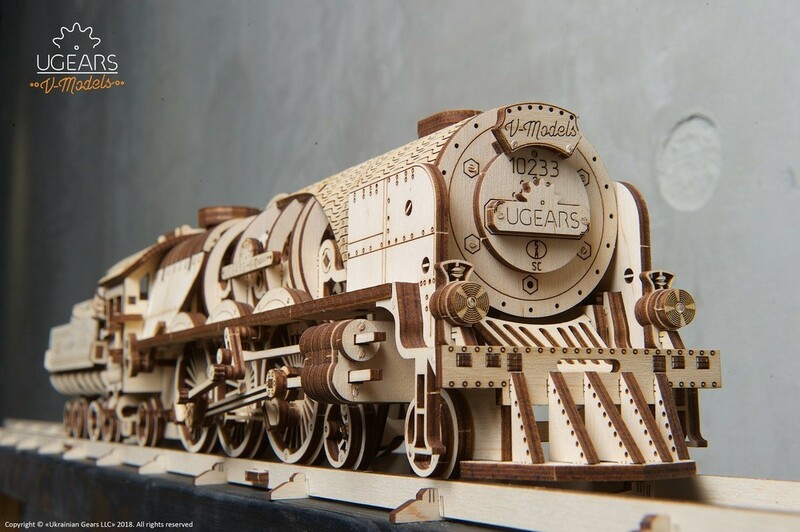 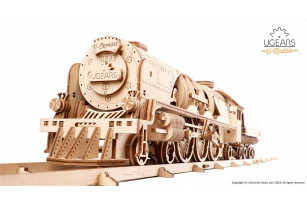 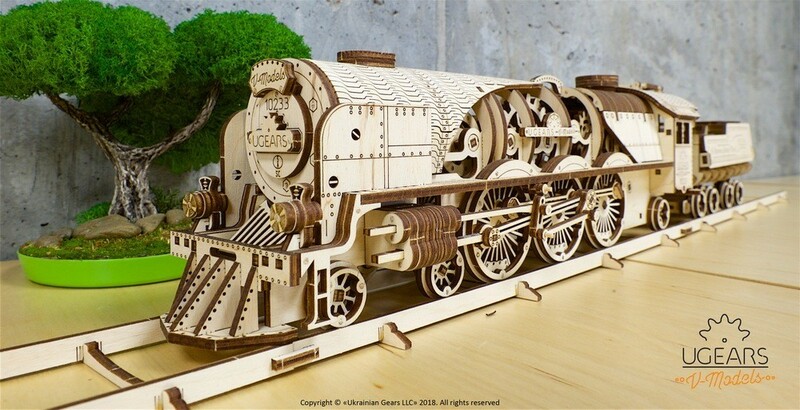 Ugears can guarantee that with the new exciting V-Express Steam Train your adventure will be anything but boring!